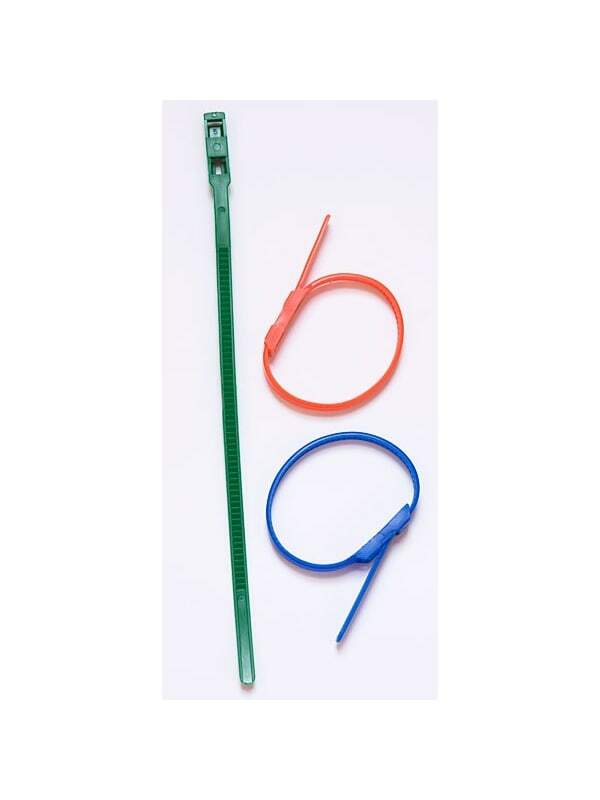 These handy 10" ties are great for securing signs, cables, hoses and can be unlocked and used over and over. Ties will hold securely until it is "unlocked" to be reused. Not for applications requiring tamper-proofing. 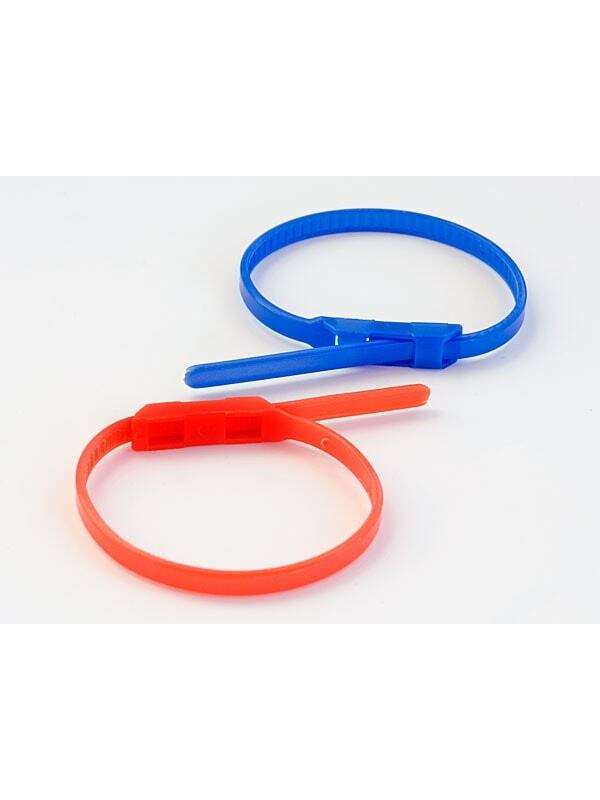 Nylon ties are 10" long and designed to unlock so that you can use them over and over again. Tie will hold securely, but is not tamper proof.